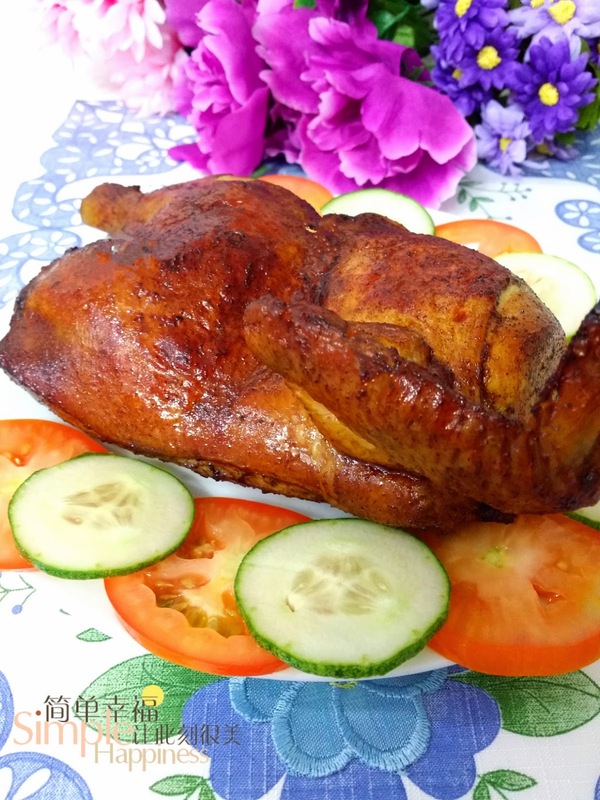 Air-fry half chicken using Europace air fryer. 1) Marinade chicken with (A) overnight. 2) Brush the sauce (B) on the skin before air-fry the chicken. 3) Roast it in air fryer for 15mins, 180 degrees. 4) Then brush the remaining sauce on the skin. Air-fry for another 15mins. Note: You can also bake using normal oven, fan mode. If using Philips air-fryer, cut down the time to 25mins. Philips air-fryer is smaller, so cooking time should be shorter.